It’s the most wonderful time of the year! And that means we get to sit back with Santa hats on and watch our favourite Christmas movies by the glow of the Christmas lights. 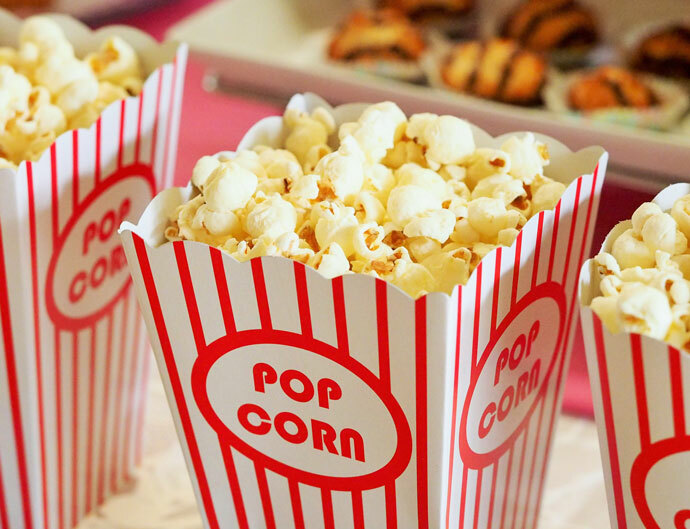 You may have seen in our iiChristmas Traditions blog post that not everyone watches movies that are specifically about Christmas, but nevertheless here are a few must-watch traditional Christmas movies to get your hands on this year! We’ve already mentioned Elf, The Grinch, The Polar Express, Die Hard, and The Santa Clause in our Christmas movie traditions blog post, and you may like to watch The Holiday or Love Actually, or both. If that wasn’t enough, here’s a few more amazingly festive films to choose from when compiling your Christmas movie list this year! Bah, humbug! 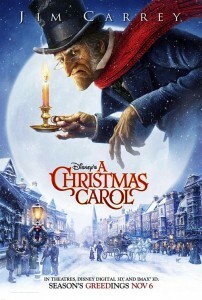 Disney’s adaptation of the classic tale, A Christmas Carol, is the journey of Scrooge, a miserable old grump who doesn’t enjoy the Christmas holiday festivities. Scrooge encounters the ghosts of Christmas past, present and future and they take him on a journey that forces him to reveal truths he’s been avoiding and challenge him to embrace the festive spirit and open his heart. This movie received 54% on the Rotten Tomatoes Tomatometer. See the trailer here. This 1946 classic starring James Stewart and Donna Reed follows the journey of George, a businessman going through a difficult time. Set on Christmas Eve, a bumbling angel still trying to earn his wings is sent from heaven to show George the impact he’s had by being in this world and what life would be like for the people in his life if he had never existed. This movie received 94% on the Rotten Tomatoes Tomatometer. See the trailer here. Rent on Fetch this Christmas in SD for only $3.95 or buy in SD for only $4.99! 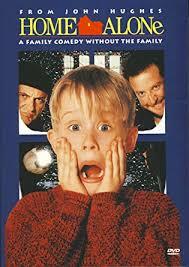 A must-have on any Christmas movie list! This beloved family comedy follows the holiday adventures of the feisty and adorable Kevin after his family accidently leave him behind when they depart for their family vacation. While Kevin is left to fend for himself, he finds himself protecting his house and setting up elaborate (and pretty genius) booby traps to fight off two burglars so his home in one piece when his family returns. This movie received 62% on the Rotten Tomatoes Tomatometer. See the trailer here. Rent on Fetch this Christmas in SD for only $3.95 or buy in SD for only $7.99! 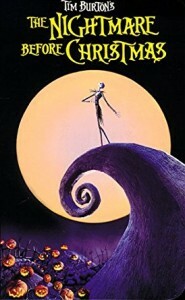 The Nightmare Before Christmas is another Tim Burton classic to add to the list. Every night is Halloween in Halloween Town and Jack Skellington, the Pumpkin King, dreams a different dream. Bored with his scare-and-scream routine, Jack Skellington stumbles across Christmas Town and decides to try a merry Christmas holiday instead! Keep your eyes peeled because there’s even a couple of hidden Mickey Mouse cameos so when you’re watching the film, see if you can spot them! This movie received 95% on the Rotten Tomatoes Tomatometer. See the trailer here. Ever wondered how Santa manages to visit every single child in just one night? Operation “Santa Clause” is coming to town and now you can meet the family who makes it possible. This Christmas, there’s been a glitch: a child has been missed and will wake up to no presents! It’s up to Arthur to save Christmas by any means necessary! This movie received 92% on the Rotten Tomatoes Tomatometer. See the trailer here. Rent on Fetch this Christmas in SD for only $5.95 or buy in SD and HD for only $9.99! 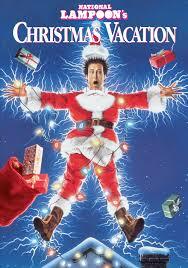 The holidays are fast approaching and Clark Griswold is set on having a perfect family Christmas. As he reins in the family to get the tree up and the house decorated, things take a turn when another side of the family show up unexpectedly and park their camper van next to the Griswold home. One thing’s for sure, it’ll be a cracker! This movie received 64% on the Rotten Tomatoes Tomatometer. See the trailer here. 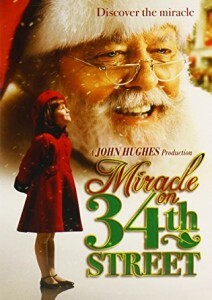 Originally released in 1947, the holiday classic Miracle on 34th Street follows the journey of Susan and her mother Dorey, who struggle to believe in the spirit of Christmas. It’s Dorey’s job to hire the Santas each year at Macy’s, a renowned department store. This year, Kris Kringle is hired and he does an incredibly convincing job! Kris Kringle soon reveals that he believes himself to be the actual Santa Clause. Once the word gets out, the authorities threaten to place Kris Kringle in an insane asylum, but a lawyer comes to his defence and Susan and Dorey follow his journey and start to have faith in Christmas. This movie received 58% on the Rotten Tomatoes Tomatometer. See the trailer here. An oldie but a goodie, this one will have you singing that’s for sure! There’s a song for every holiday and a holiday for every song. 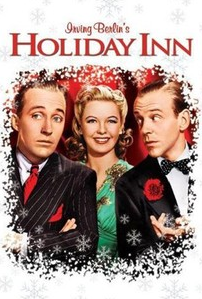 Released in 1942, Holiday Inn just so happened to launch the hit song, White Christmas. The movie features Jim and Lila who are members of a performing trio. They plan to quit and leave until Lila declares that she’s fallen in love with the dancer in the act, Ted. Brokenhearted, Jim leaves town and turns the inn into a holidays-only live entertainment venue. This movie received 100% on the Rotten Tomatoes Tomatometer. See the trailer here. If you’ve got a Fetch subscription, you’ll find Elf in the 30 included movies this December on Movie Box. There are a number of titles available to rent or buy in their Christmas Movie Promotion, or for even more choice, head over to the Movie Store and you’ll find the Festive Favourite theme, with over 70 Christmas movies available to rent or buy – now that’s a lot of Christmas movies! Get Fetch in time for Christmas! 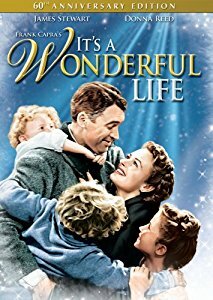 Do you have a Christmas movie you can’t go without watching every year? Share it with us in the comments! What ever happened to the Christ in Christmas. Why not mention at least one movie about what this holiday is suppose to be about or are u frighten adopt the feed back u may receive? ‘The Santa Clause’ of course! 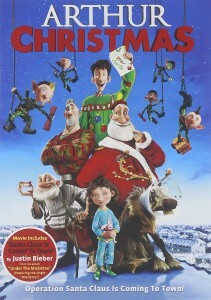 Of course – This is a great movie for the festive season Tess! I like the sound of Erin. How does she cope with all you tech heads? Hi, you have left out one of the best Christmas movies of all time and that is The Bishop’s Wife with David Niven and Cary Grant. Thanks for the suggestion. I will have to check this one out Dawn! YOUR CHRISTMAS GREETINGS ARE KINDLY RECIPROCATED. ALL THE BEST TO YOU AND YOURS.